Lineal and Ring Magazine Middleweight World Champion Canelo Alvarez (49-1-2, 34 KOs) and WBC/WBA/IBF/IBO Middleweight World Champion Gennady “GGG” Golovkin (37-0-1, 33 KOs) hosted a blockbuster fan event today at Microsoft Square at L.A. LIVE to formally announce their historic, highly anticipated 12-round rematch at T-Mobile Arena on Cinco de Mayo and presented live by HBO Pay-Per-View beginning at a special time of 8:00 p.m. ET/5:00 p.m. PT. Canelo vs. GGG 2 is a 12-round fight for the middleweight championship of the world presented by Golden Boy Promotions and GGG Promotions. The event is sponsored by Tecate, “THE OFFICIAL BEER OF BOXING,” Hennessy, “Never Stop, Never Settle,” Fred Loya Insurance and Fathom Events. The event will take place Saturday, May 5 at T-Mobile Arena in Las Vegas and will be produced and distributed live by HBO Pay-Per-View beginning at 8:00 p.m. ET/5:00 p.m. PT. 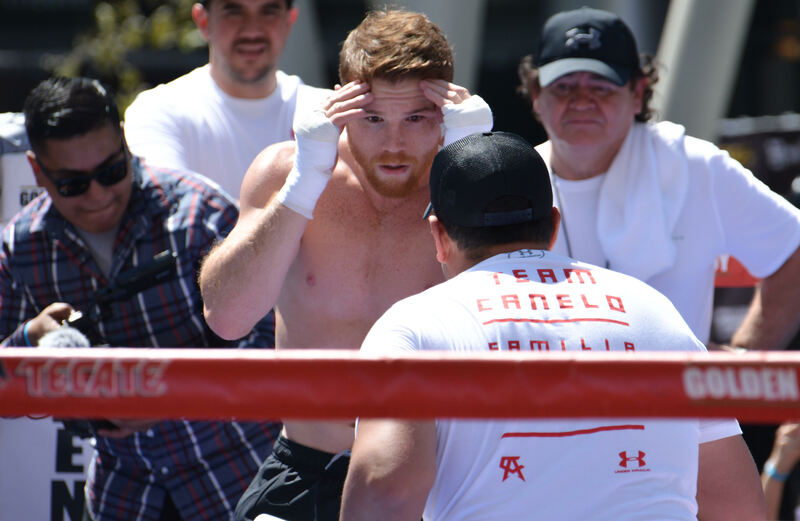 Tickets for Canelo vs. GGG 2 are on sale and are priced at $5,000, $2,500, $2,000, $1,500, $800, $700, $500 and $300, not including applicable service charges and taxes. There will be a limit of 10 per person at the $5,000, $2,500, $2,000, $1,500, $800 and $700 price levels with a limit of two (2) per person at the $500 and $300 price levels. To charge by phone with a major credit card, call 888-9-AXS-TIX (888-929-7849). Tickets also will be available for purchase at www.t-mobilearena.com or www.axs.com.